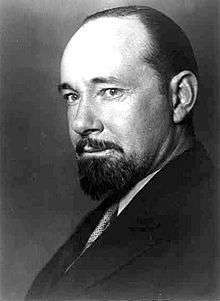 Sir George Hubert Wilkins MC & Bar (31 October 1888 – 30 November 1958) was an Australian polar explorer, ornithologist, pilot, soldier, geographer and photographer. Hubert Wilkins was a native of Hallett, South Australia, the last of 13 children in a family of pioneer settlers and sheep farmers. He was born at Mount Bryan, South Australia, 177 kilometres (110 mi) north of Adelaide by road. The original homestead has been restored by generous donation. He was educated at Mount Bryan East and the Adelaide School of Mines. As a teenager, he moved to Adelaide where he found work with a traveling cinema, to Sydney as a cinematographer, and thence to England where he became a pioneering aerial photographer whilst working for Gaumont Studios. His photographic skill earned him a place on various Arctic expeditions, including the controversial 1913 Vilhjalmur Stefansson-led Canadian Arctic Expedition. In 1917, Wilkins returned to his native Australia, joining the Australian Flying Corps in the rank of Second Lieutenant. Wilkins later transferred to the general list and in 1918 was appointed as an official war photographer. In June 1918 Wilkins was awarded the Military Cross for his efforts to rescue wounded soldiers during the Third Battle of Ypres. He remains the only Australian official photographer from any war to have received a combat medal. The following month Wilkins was promoted to Captain and became officer commanding No.3 (Photographic) Sub-section of the Australian war records unit. Wilkins work frequently led him into the thick of the fighting and during the Battle of the Hindenburg Line he assumed command of a group of American soldiers who had lost their officers in an earlier attack, directing them until support arrived. Wilkins was subsequently awarded a bar to his Military Cross in the 1919 Birthday Honours. When Sir John Monash was asked by the visiting American journalist Lowell Thomas ( who had written 'Lawrence of Arabia' and had made him an international hero ) if Australia has a similar hero, Sir John replied "Yes, there was one. He was a highly accomplished and absolutely fearless combat photographer .. What happened to him is a story of epic proportions. Wounded many times ... he always came through. At time he brought in the wounded, at other times he supplied vital intelligence of enemy activity he observed. At one point he even rallied troops as a combat officer ... His record was unique." Subsequent to the war, Wilkins served in 1921–1922 as an ornithologist aboard the Quest on the Shackleton-Rowett Expedition to the Southern Ocean and adjacent islands. Wilkins in 1923 began a two-year study for the British Museum of the bird life of Northern Australia. This ornithology project occupied his life until 1925. His work was greatly acclaimed by the museum but derided by Australian authorities because of the sympathetic treatment afforded the Aborigines and criticisms of the ongoing environmental damage in the country. In March 1927, Wilkins and pilot Carl Ben Eielson explored the drift ice north of Alaska, touching down upon it in Eielson's airplane in the first land-plane descent onto drift ice. Soundings taken at the landing site indicated a water depth of 16,000 feet, and Wilkins hypothesized from the experience that future Arctic expeditions would take advantage of the wide expanses of open ice to use aircraft in exploration. Wilkins was the first recipient of the Samuel Finley Breese Morse Medal, which was awarded to him by the American Geographical Society in 1928. He was also awarded the Royal Geographic Society's Patron's Gold Medal the same year. 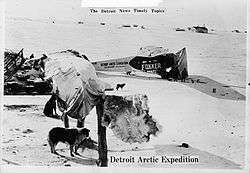 On 15 April 1928, only a year after Charles Lindbergh's flight across the Atlantic, Wilkins and Eielson made a trans-Arctic crossing from Point Barrow, Alaska, to Spitsbergen, arriving about 20 hours later on 16 April, touching along the way at Grant Land on Ellesmere Island. For this feat and his prior work, Wilkins was knighted, and during the ensuing celebration in New York, he met an Australian actress, Suzanne Bennett, whom he later married. Now financed by William Randolph Hearst, Wilkins continued his polar explorations, flying over Antarctica in the San Francisco. He named the island of Hearst Land after his sponsor, and Hearst thanked Wilkins by giving him and his bride a flight aboard Graf Zeppelin. In short, the expedition is for the purpose of gathering data in connection with a plan for comprehensive meteorology study, including the polar areas and with the hope that once polar meteorological stations are established it will be possible to forecast for several years in advance, the seasonal conditions, and to collect scientific data of academic and economic interest from an area hitherto unapproached by a scientific staff equipped with a complete scientific laboratory and facility for comfortably carrying out their investigation and provided with adequate means of sustenance and means of safe retreat. Millions of dollars are spent each year by various institutions in oceanographical and geophysical research. A submarine will provide means for similar investigations in an economic and safe manner, in areas as yet untouched by scientists. An expedition of this magnitude would not be inexpensive. Wilkins had to be creative in financing this undertaking. Lincoln Ellsworth contributed $70,000, plus a $20,000 loan. Newspaper tycoon Randolph Hearst added $61,000 for exclusive rights to the story. The Woods Hole Oceanographic Institute pitched in $35,000. Finally, Wilkins himself doled out $25,000 of his own money. Since Wilkins was not a U.S. citizen he was unable to purchase the 1918 submarine that was scheduled to be decommissioned. However, he was permitted to lease the vessel for a period of five years at a cost of one dollar annually from Lake & Danenhower, Inc. The submarine was the disarmed USS O-12 (SS-73), designed by Simon Lake. Wilkins renamed the submarine The Nautilus after Jules Verne's 20,000 Leagues Under the Sea. The ship was 175 feet in length and weighed in at 560 tons. It was capable of diving to a depth of 200 feet and could support a crew of twenty men for five days. The submarine was outfitted with a custom designed drill that would allow it to bore through ice pack overhead for ventilation. The crew of eighteen men was chosen with great care. Among their ranks were U.S. Naval Academy graduates as well as navy veterans of WWI. Wilkins described the planned expedition in his 1931 book Under The North Pole, which Wonder Stories praised as "[as] exciting as it is epochal". The expedition suffered losses before they even left New York Harbor. Willard Grimmer the quartermaster was knocked overboard and drowned in the harbor. Wilkins was undaunted and drove on with preparations for a series of test cruises and dives before they were to undertake their trans-Atlantic voyage. Wilkins and his crew made their way up the Hudson River to Yonkers, eventually reaching New London, CT where additional modifications and test dives were performed. Satisfied with the performance of both the machinery and the crew, Wilkins and his men left the relative safety of coastal waterways for the uncertainty of the North Atlantic on June 4, 1931. Soon after the commencement of the expedition the starboard engine broke down, and soon after that the port engine followed suit. On 14 June 1931 without a means of propulsion Wilkins was forced to send out an SOS and was rescued later that day by the USS Wyoming. The Nautilus was towed to Ireland on 22 June 1931, and later was taken to England for repairs. On 28 June the Nautilus was up and running and on her way to Norway to pick up the scientific contingent of their crew. By 23 August they had left Norway and were only 600 miles from the North Pole. It was at this time that Wilkins uncovered another setback. His submarine was missing its diving planes. Without diving planes he would be unable to control the Nautilus while submerged. Wilkins secretly felt that his mission was deliberately sabotaged by a crew member. Wilkins was determined to do what he could without the diving planes. For the most part Wilkins was thwarted from discovery under the ice floes. The crew was however able to take core samples of the ice, as well as testing on the salinity of the water and tests on gravity near the pole. The Nautilus expedition had suffered one setback after another, but they continued on bravely. However, even Wilkins had to acknowledge when his adventure into the arctic was becoming too foolhardy. Wilkins received a wireless plea from one of his financiers, Hearst, which said, "I most urgently beg of you to return promptly to safety and to defer any further adventure to a more favorable time, and with a better boat." Wilkins ended the first expedition to the poles in a submarine and headed for England, but was forced to take refuge in the port of Bergen, Norway because of a fierce storm that they encountered en route. The Nautilus suffered serious damage that made further use of the vessel unfeasible. Wilkins received permission from the United States Navy to sink the vessel off shore in a Norwegian fjord on 20 November 1931. Despite the failure to meet his intended objective, he was able to prove that submarines were capable of operating beneath the polar ice cap, thereby paving the way for future successful missions. Wilkins became a student of The Urantia Book and supporter of the Urantia movement after joining the secretive Forum group in Chicago in 1942. After the book's publication in 1955, he 'carried the massive work on his long travels, even to the Antarctic' and told associates that it was his religion. On 16 March 1958, Wilkins appeared as a guest on the TV panel show What's My Line? The Wilkins Sound, Wilkins Coast and the Wilkins Ice Shelf in Antarctica are named after him, as are the airport at Jamestown, South Australia, and a road at Adelaide Airport. The majority of Wilkins' papers and effects are archived at The Ohio State University Byrd Polar Research Center. 1942 with Harold M. Sherman: Thoughts Through Space, Creative Age Press. Republished as Wilkins, Sir Hubert; Harold M. Sherman (2004). Thoughts Through Space: A Remarkable Adventure in the Realm of Mind. Hampton Roads Publishing Co. ISBN 1-57174-314-6. ↑ "Distance Mount Bryan East – Adelaide". Tripstance.com. Tripstance.com. 2013–2016. Retrieved 16 January 2016. ↑ "Capt. Wilkins". The Observer (Adelaide). LXXXV, (4,433). South Australia. 9 June 1928. p. 54. Retrieved 19 September 2016 – via National Library of Australia. 1 2 Mary, Trewby (2002). Antarctica: an encyclopedia from Abbot Ice Shelf to Zooplankton. Auckland, New Zealand: Firefly Books. p. 200. ISBN 1-55297-590-8. ↑ The London Gazette: (Supplement) no. 31370. p. 6823. 3 June 1919. ↑ Thomas, Lowell, Sir Hubert Wilkins: his world of adventurer, Readers Book Club, London, 1961, p.1. ↑ Althoff, William F. Drift Station: Arctic outposts of superpower science. Potomac Books Inc., Dulles, Virginia. 2007. p. 35. ↑ "The Cullum Geographical Medal". American Geographical Society. Retrieved 17 June 2010. ↑ Wilkins, Hubert Wilkins. Flying the Arctic. p. 313. 1 2 "Under the North Pole: the Voyage of the Nautilus, The Ohio State University Libraries". Library.osu.edu. 1931-06-04. Retrieved 2014-07-08. ↑ "Polar Sub Can Drill Through Ice", April 1931, Popular Science. Books.google.com. Retrieved 2014-07-08. ↑ "The Arctic Dive, Under the North Pole: the Voyage of the Nautilus". Library.osu.edu. 1931-08-23. Retrieved 2014-07-08. 1 2 "Rediscovering the World's First Arctic Submarine: Nautilus 1931". Ussnautilus.org. 1931-11-30. Retrieved 2014-07-08. ↑ "Science: Wilkins Through". Time. 14 September 1931. ↑ "The Nautilus Expedition". Amphilsoc.org. 1931-11-20. Retrieved 2014-07-08. ↑ "What's My Line? : EPISODE #406". TV.com. Retrieved 18 December 2008. Thomas, Lowell 1961 Sir Hubert Wilkins: His World of Adventure McGraw-Hill. Wikimedia Commons has media related to Hubert Wilkins.